Gu for your skins! “Monodosis” means single dose, or in this context, single use. 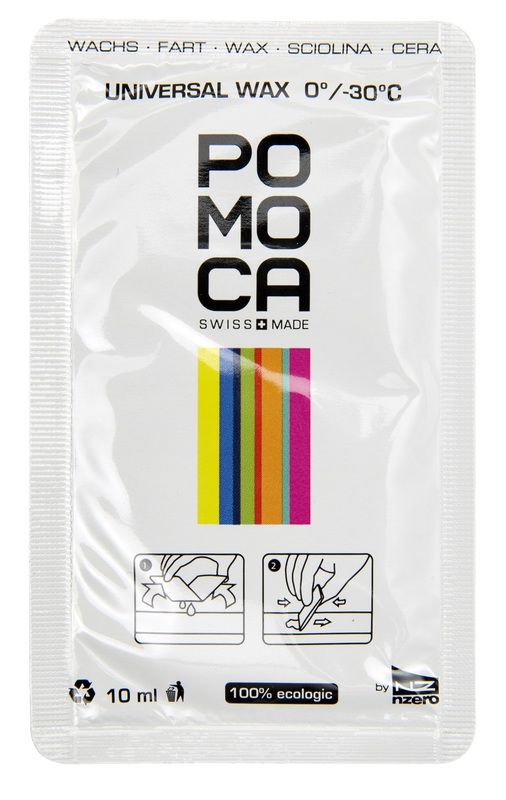 The Pomoca Eco-Wax Monodosis is a genius anti-glopping solution for climbing skins that allows you to bring only what you need and nothing more. The wax has a consistency like lotion and will penetrate deeper into the climbing skin plush for longer lasting grip and glide. It is stored in a low-profile card that pulls double duty as the packaging and the applicator. The card is broken open and the edge of the card is used to get an even and clean coat of “lotion” onto the plush of the climbing skin. To get more, just squeeze it out like a tube of toothpaste until your entire climbing skin is prepped and faster than ever. Now you can say “It puts the lotion on its skin” like Buffalo Bill without social repercussions. Eco-friendly wax is easier on the environment and snowpack. It says Fart on the package. hello. 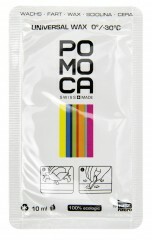 when is best time to apply pomoca monodosis wax before race? is day before ok or just before the race for best glide? Hey Filip! Either one works just fine. You can apply it at the starting line and you will get about 3,000ft of vert out of it. If you apply it the night before and let it dry you'll get a bit more, but if you apply it the night before and iron it in you'll get 4-5,000ft+ out of it. Single use...for 1 skin or two? Obviously the size of the skin matters...any idea of actual coverage area in a single package? Hey Steve, it'll do a pair of skins. It definitely has enough wax to cover a huge pair of skins (140mm x 200cm+ probably), but you've gotta be paying pretty close attention to smear it evenly enough to cover that much material. User error is definitely the easiest way to run out of this stuff before your skins are covered.